The Bayou Bump in studio! 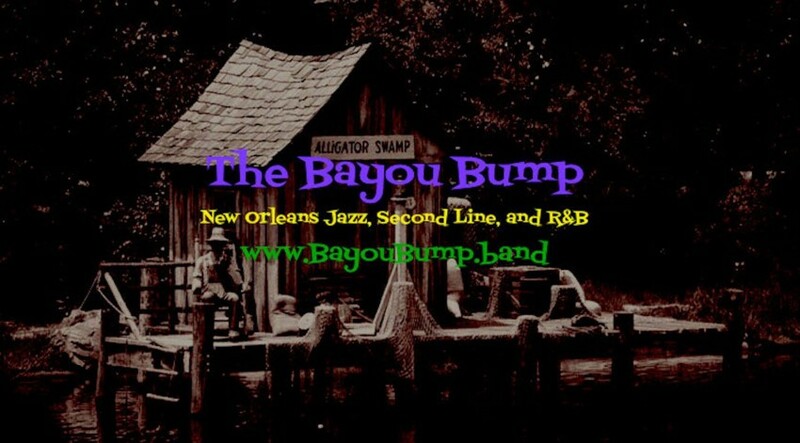 New to GigSalad, The Bayou Bump provides an authentic New Orleans sound and vibe for all events. We play Second Line (parade style if needed), traditional New Orleans jazz, funk and r&b, as well as a little Cajun and zydeco! Think Dirty Dozen meets Louis Armstrong and The Meters! 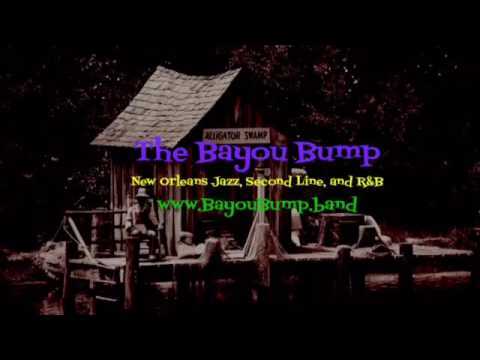 The Bayou Bump is comprised of 8 members, and can be as small as 3 depending on event needs. 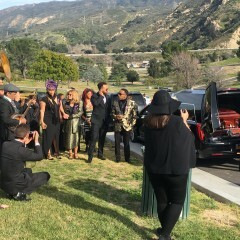 All top LA/World class musicians with credentials from International Venues, Festivals, and touring acts. Always professional, and always bringing that New Orleans vibe, The Bayou Bump would love to be a part of your next event! The Bayou Bump did an excellent job performing. They were professional and sounded great. 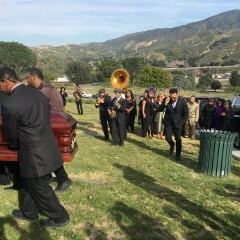 They were respectful of the environment (funeral) and even had to walk up a hill (second line style) for part of their performance. 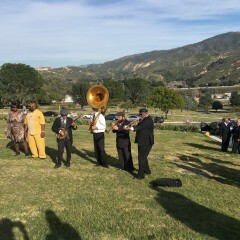 They performed traditional New Orleans brass/jazz music as well as TAPS for the deceased that served in the military. 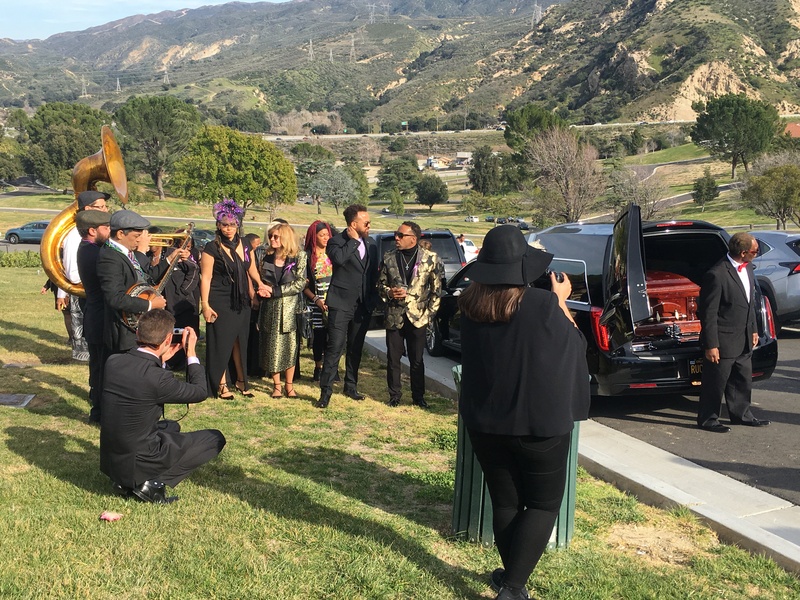 The family of the deceased felt that their presence made the moment brighter and more special. 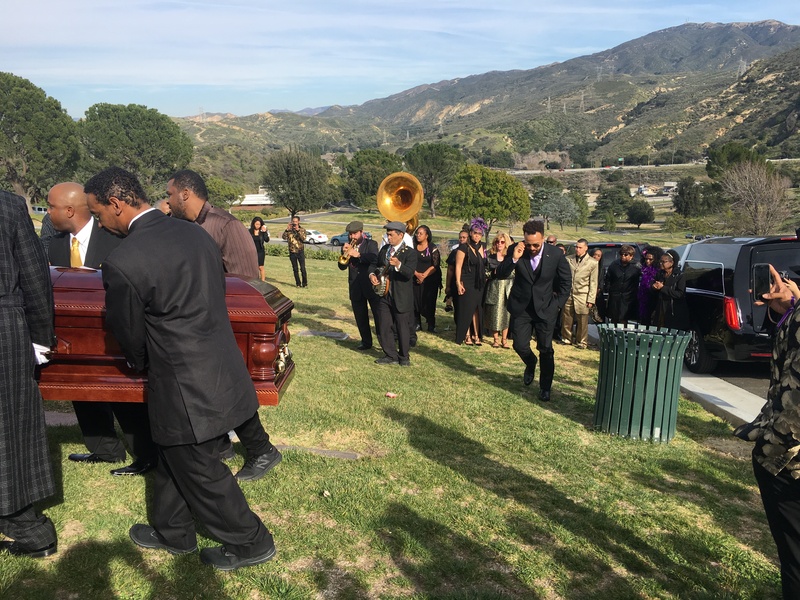 They even accommodated a family friend that was eager to show their respects and allowed him to play with them for a song or two. 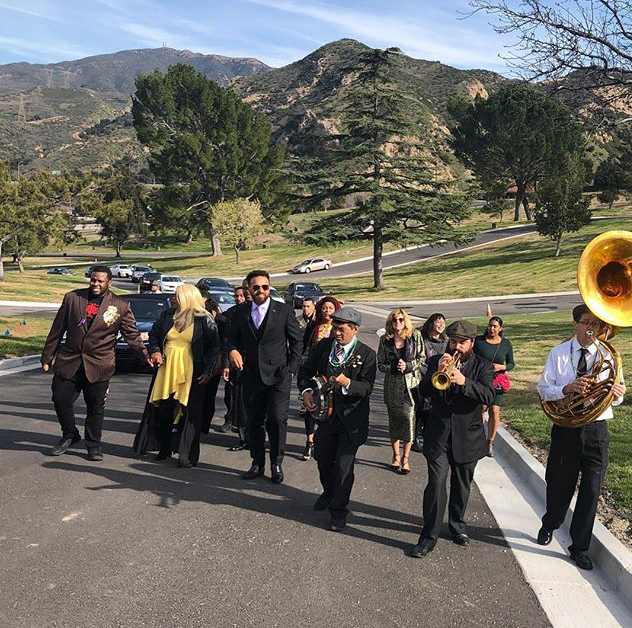 We highly recommend the band for any occasion. 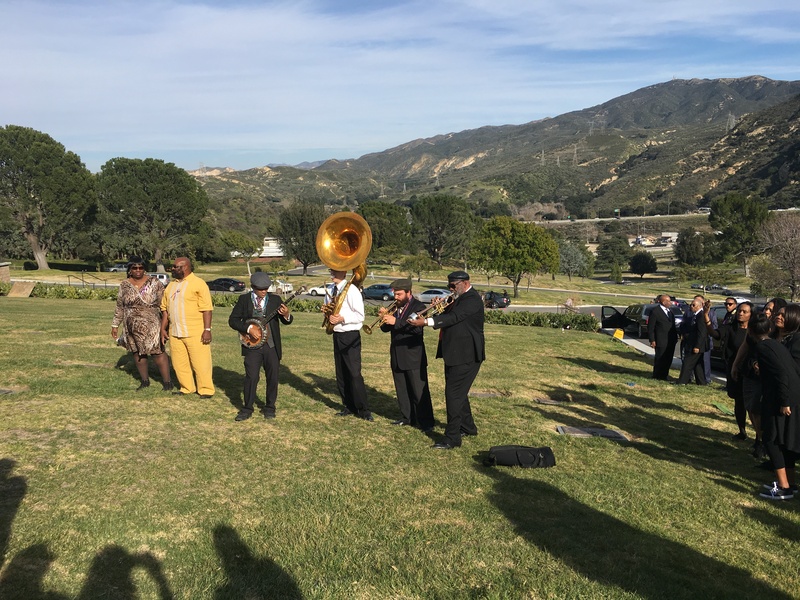 They worked with our time frame and budget and provided 3 STELLAR musicians that performed songs that ranged from a somber feel to an upbeat Mardi Gras style (as requested). We hope to hire them for a wedding or birthday celebration next time, or simply just to party . Thanks again Bayou Bump for making a difficult moment more comfortable and joyful than it would have been without the presence of your talent/music. So glad to see you guys on Gigsalad! You have such an amazing sound! The Bayou Bump can be a 3 - 8 piece band, depending on clients needs. We can provide anything from background music to full festival/large outdoor venue performances. We wear New Orleans party attire including Mardi Gras colors and beads, and funky pro dress clothes. (Unless otherwise requested) Clients can expect highly professional experiences in dealing with The Bayou Bump from contracting, to at-event communications and performance quality. We can provide sound and lighting for most events, depending on size, or work with others. The Bayou Bump is frequently asked to parade guests in as an option to a space change during and event (ie-cocktail hour to reception). We also have the ability to play dinner music, to full-on “shake your booty” dance sets. 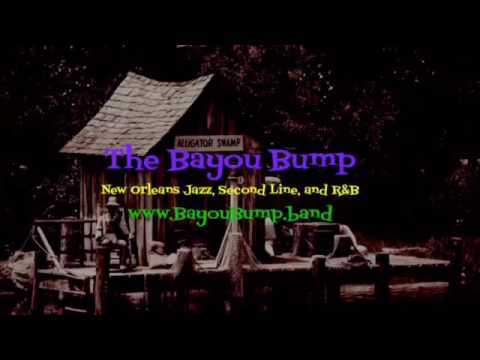 A special offering of The Bayou Bump, is an educational show about the history of Jazz, and/or New Orleans Jazz. We can present this in school grades of any level, and other public or private spaces such as libraries. 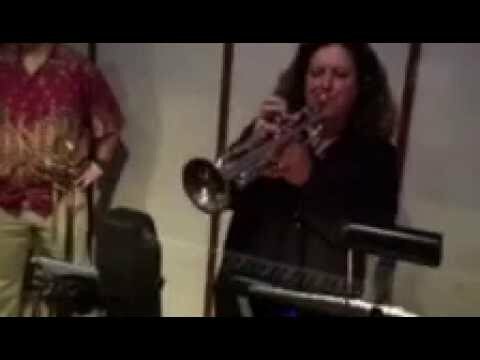 The all-female horn line is a powerhouse trio of women who have credentials such as Aretha Franklin, Zappa Plays Zappa, Coachella, The Tonight Show, and Carnegie Hall. Lead vocalist, Tom Nolan, is a master at “reading a party”, and calls sets that keep everyone dancing through the night! He also fronts his own band and packs venues around LA. The exceptional rhythm section boasts international touring acts and other credentials on tv, film, and venues worldwide. Event specific. Please inquire. We can be completely acoustic, needing nothing, to full-on stage/lights/massive sound system....and anything in between.